The Cupertino giant has released their inexpensive iPad. Check out the Apple iPad 2017 Price & Features. Apple has released their much-awaited iPad successor for this year. The new 2017 model of the iPad isn’t about specifications. But the brand has focused on bringing down the cost of their tablet PC to the lowest possible. The standard model of the Apple iPad 2017 price is at $329 for the Wi-Fi-only model. The most valuable which once focused on offering everything and pricing their products high has now the new vision for the future. The Vision is – provide for the larger consumer base by pricing relatively lower. The new iPad model may not be a game changer, but it isn’t supposed to be. Let’s face it, every iPad is defined by their screen quality. The screen on the 2017 iPad is still a Retina Display and it has 2048 x 1536 pixel resolution. It is a 9.7-inch display and unfortunately doesn’t sports lamination. Cutting the cost with no lamination, the screen is said to suffer from reflection. Meaning when iPad is used under sunlight, it would reflect the light. And it won’t be nice. In terms of the design, there aren’t any big changes, except in dimensions. The new iPad is bigger and heavier than iPad Air 2 and iPad Pro 9.7. At 9.4 by 6.6 by 0.29 (WHD) and 1.03 pounds, it’s even heavier than the iPad Air. 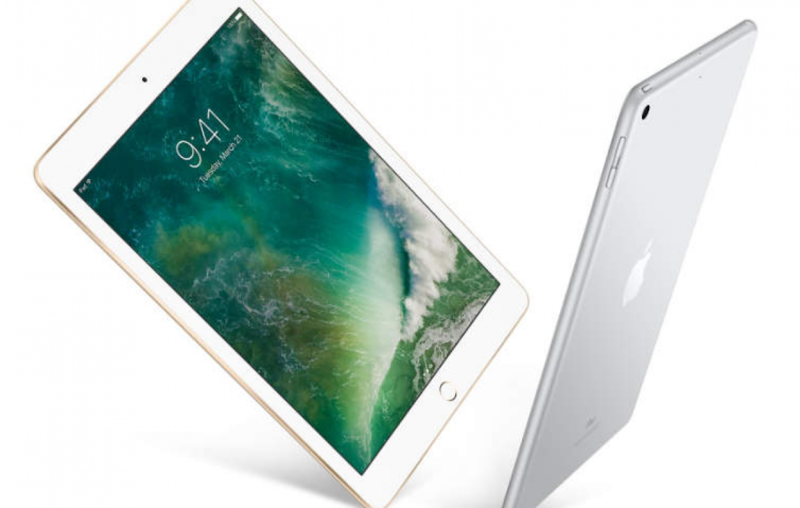 The new 2017 iPad model comes with an A9 processor, which is said to be faster than iPad Air 2’s A8 processor. But the new iPad chipset isn’t powerful as A9X on the iPad Pro or A10 in the new iPhone 7. There is a nice 20% jump in terms of performance benchmarks compared to iPad Air 2. There shouldn’t be any performance issue unless you juggle heavy-duty activities such as Excel Spreadsheets, or editing and exporting a video. There is a Touch ID fingerprint sensor on the home button, which integrated Apple Pay. The two stereo speakers are located at the bottom. The company promises up to 10 hours of battery life on one full charge. On the camera front, the new iPad model comes equipped with 8-megapixel Autofocus camera. It can take panorama photos up to 43 megapixels. The rear camera features include HDR, exposure control, Burst mode, Tap to focus, and Timer mode. The aperture number of the sensor is f/2.4. This five-element lens setup on the rear offers several interesting technologies such as Hybrid IR filter, Backside illumination, Auto image stabilization, and Face Detection. It can record 1080p videos at 30fps and slow-motion videos at 120fps. There is a provision of recording Time-lapse built right in the camera as an interface. Talking about the front-facing module, it sports a 1.2-megapixel resolution and has a f/2.2 aperture. It has a similar set of features such as HDR, Face detection, exposure control, burst mode, etc. Though, the maximum quality it can record is at 720p. 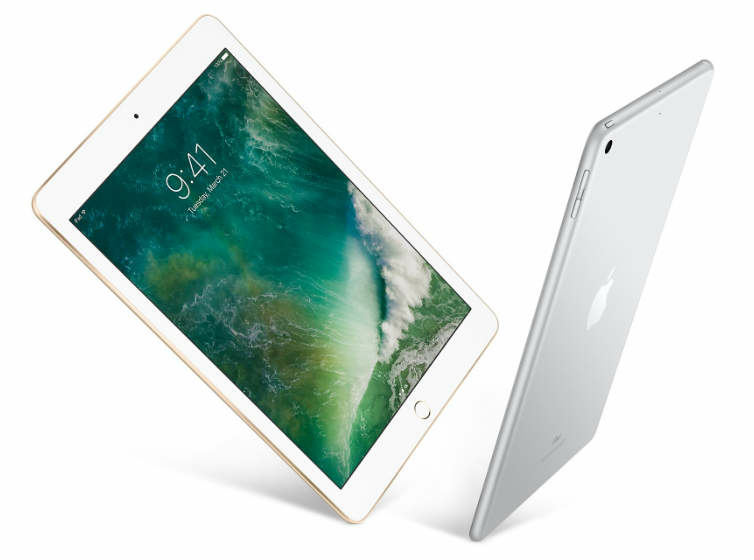 The base model of the Apple iPad 2017 price is at $329 (Approx. Rs 21375, with 32GB storage and Wi-Fi. Pay extra $100 (Approx. Rs 6500 ) to get 128GB storage and $130 (Approx. Rs 8450) to get LTE connectivity. The new iPad model is available in three colour variants Silver, Gold and Space Gray. 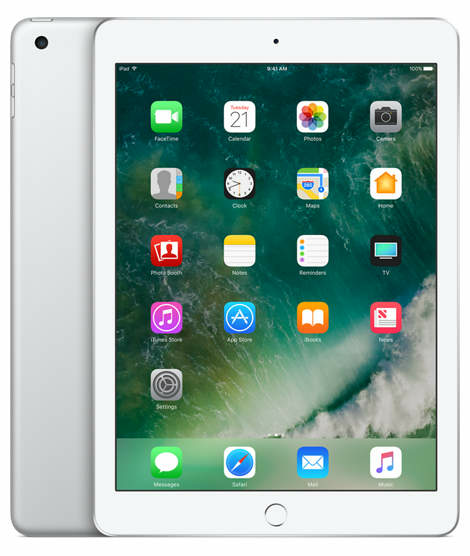 Looking at the Apple iPad 2017 price, the Cupertino giant has made their new iPad much simpler and inexpensive. And just for that reason, one should consider getting the new iPad. If you have been planning to get yourself an iPad for a long time, now is the correct time to purchase it. What do you think of the Apple iPad 2017 pricing? Do you believe this upgrade will deliver good performance? Let us know in the comments section below whether you’re going to buy it in India or not. Next article Can Flipkart funding and its merger with eBay oust Amazon?